A sparkling Italian non-alcoholic bitter-sweet aperitif, with quite a bite! 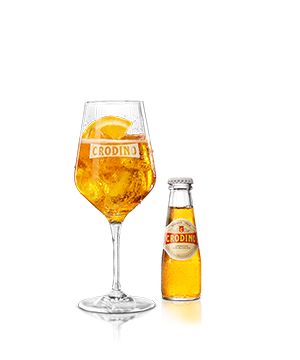 To serve Crodino to perfection, place a handful of ice cubes in a wine glass, add Crodino and garnish with a slice of orange. 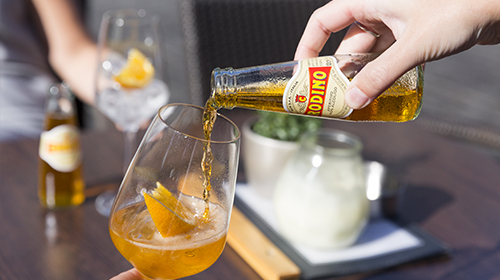 A sparkling Italian non-alcoholic aperitif with a bite! Seasoned with fine herbs and natural southern fruit extracts, this aperitif is bitter-sweet and refreshing. Crodino was developed by the Società Terme di Crodo about 30 years ago.